Tiara DeRosa represented Mississippi Valley State University at the ASU Kickoff Klassic Track Meet hosted at the Arkansas State University. 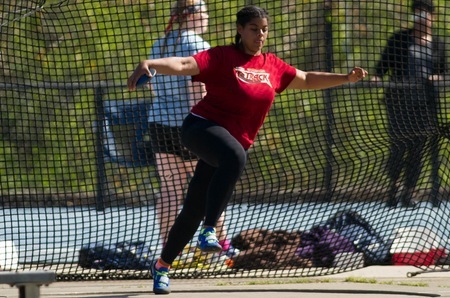 DeRosa making her debut for the school competed in the Women’s Shot Put. DeRosa would finish 7th with a top toss of 12.31m. DeRosa’s best toss came on her first attempt, which was followed by tosses of 11.80m, 12.13m and 11.85m on her next three attempts. DeRos would close out with back to back Foul throws.